In this guide we look at the legal obligations of a business and the related compliance requirements that a business needs to consider. Depending on what structure your business takes you will be subject to certain legal obligations and requirements. If you operate as a sole trader the compliance requirements will be less rigorous than if you operate as a company. However, there are many advantages to structuring a new business in the form of a limited company. For more information on that topic read our guide to choosing your business structure. Operate the company in accordance with its articles of association. Keep the company records up to date. (Note that the Companies Act requires that all companies must keep a record of certain matters. Read our post ‘5 Key company record keeping obligations’ for more information). File your company accounts and corporation tax return. Add the full company name, company number and its registered office to the company website, email footer and headed letters where these are used. Failure to comply with the above legal and compliance obligations would expose the company to a fine. You should also bear in mind that if your business is required to be a registered with a regulatory body. For example The Financial Conduct Authority then you must also include details of the registration on all business stationary. 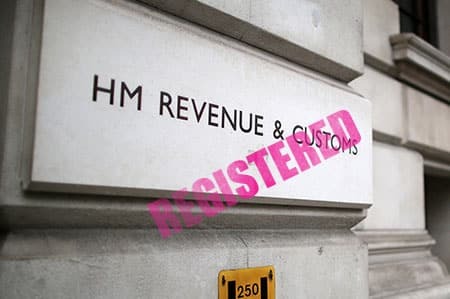 It is a legal requirement that all businesses register themselves with HMRC for corporation tax and to then file a tax return each year. The specific requirements for the registratio n will depend on your chosen business entity. I.e. sole trader, limited company or partnership. Full details can be found here: https://www.gov.uk/set-up-business. If a business generates more than £85,000 in revenue then it must also charge VAT on the products or services that it supplies (unless it can take advantage of a VAT exemption). If your business employs staff then you must comply with certain legal obligations that arise under various employment related laws. A description of their role. This information must be provided to the employee within two months of them starting with the business. If a business fails to provide its employees with the required information they are liable to a fine equivalent to up to four weeks of the employee’s pay. The written terms can be included in any form but we recommend using a full employment contract and ideally you should also put in place a HR handbook which sets out the companies policies on employment related matters. 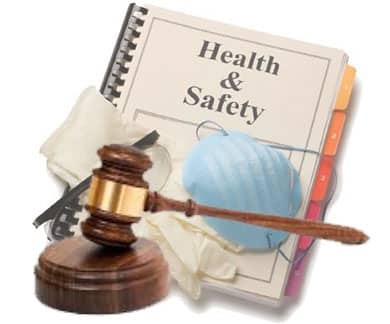 If your business will employ staff then in addition to employment law obligations t here are a number of health and safety obligations that you need to consider. All staff, whether employed or self employed, are entitled to work in a safe environment. The requirements for complying with this obligation are very broad. The employer must be able to demonstrate that they have assessed the risks that employees face in the workplace. This can be achieved by putting in place a health and safety risk assessment. 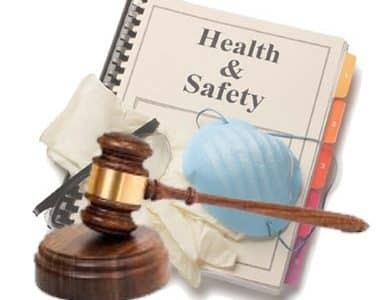 The employer must be able to demonstrate that it has given all workers details of any risks within the workplace and information on how the employer seeks to minimise risks to a worker’s health and safety. This can be done by putting in place a health and safety policy. In addition if your business has a premises and you employ staff then you need to consider fire safety and the obligations imposed by the Regulatory Reform (Fire Safety) Order. Compliance with this legislation requires that all businesses with a premises install and maintain a fire protection system. This means that you must have fire extinguishers on the premises and ideally appoint a fire marshal and establish an office evacuation procedure. If your business has employees then it is a legal requirement to have ‘employers liability’ insurance. If you have a premises where non employees may visit then it is also a requirement to have ‘public liability’ insurance in place. The General Data Protection Regulations (GDPR) were implemented in May 2018 and impose strict legal obligations and compliance requirements on all businesses that collect personal data of any sort. GDPR requires that a business is able to demonstrate that it can rely on one of 7 lawful grounds for collecting and processing personal data and that does so in accordance with the data protection principles set out by GDPR. This is s detailed area of the law with numerous compliance requirements and we recommend that you read our detailed guide to GDPR for businesses to assist you in meeting all of the legal obligations imposed by this legislation. Any business that sells products or services to consumers, I.e. people that are not buying from you in the course of their business, must comply with The Consumer Contracts (information, Cancellation and Additional Charges) Regulations. These regulations require that any business that sells to a consumer puts in place written terms of sale and provide certain information to all consumer customers. The written terms must then meet certain compliance requirements such as the requirement to provide a clear refund policy, and the ability for the consumer to cancel the purchase (there are some exceptions to this obligation). Large commercial organisations (companies and partnerships) based in the UK must comply with the requirements of the Modern Slavery Act 2015. This will not apply to most our our readers as the requirement is that businesses with an annual turnover greater than 36 million Pounds must publish a modern slavery statement. However since the legal obligation extends to making sure that all companies in the supply chain also comply with the legislation you need to consider this requirement if your business will supply products or services to a business that does have an annual turnover above 36 million Pounds. A final area for legal obligations and compliance that must be considered by anyone operating a business in the UK are the legal requirements for a website. There are a number of pieces of legislation that set out requirements that must be complied with if your business has a website. The compliance requirements are set out in detail in our guide to website legal requirements. By making sure that you consider the legal obligations of a business you will ensure that your business is not exposed to fines and penalties. Good compliance is a key part of running a successful business.